Your favorite piece of glass or bubbler? My last purchase was over 2 years ago. I am overdue to add something to my collection. Considering the Mobius Nuc. 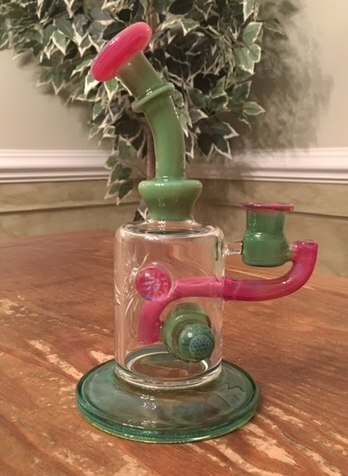 I've been using a DG fritted disk bubbler on a daily basis for 2 years and am curious about the mobius perc. lol I wish I had money to splash on top notch glass but my limited budget went as far as vapes. Did you ever get any Joda stuff ? Wow! You must have a crazy collection. Nah, just had a bit of xmas money to spend and went right to the glass artist to commission them. They are very nice, however. Not just pretty, they function wonderfully also. No Joda stuff....I'm not sure that his style is in my lane. Im considering a Termini Tubes piece too since I hear the artist, Karl, makes all his pieces in upstate NY. I also like supporting artists. you guys are so lucky. If I get anything decent its gonna cost me an arm and a leg in shipping and tax. Living in the arse end of nowhere can really curb what you get. 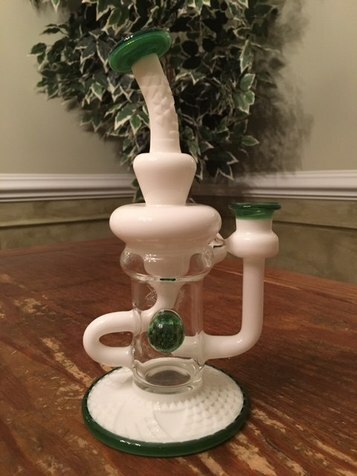 One drop down I got from a UK online shop was so poor but expensive that looking at a proper full custom piece is a joke, either way its expensive. I don't even know where a local artist would be to me. Sunshine and Steve LMZ have good reputations. Kind of liked that piece you got from them Baron (saw the thread at the other place). Very low price, very low risks, considering the alternatives. Will update when I receive. Let me know how your deal with Paramount goes. 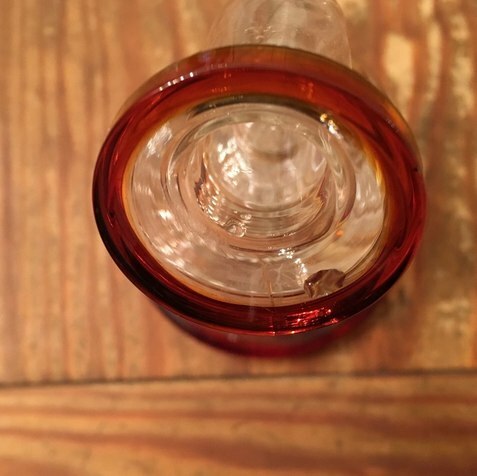 As you may know, mine came with a very small crack deep in the glass of the MP. Yes, my three day inspection period was over, but the damn thing was never used and while they acknowledged the crack they only offered to provide me with a $10 store credit. I told them to keep their money and I don't believe that I will do business with them again but also feel confident that my experience was an outlier and your piece will arrive in beautiful condition. I believe they offered you 10$ because you contacted them outside the grace period of 3 days (?) to report an issue I think? Because of your experience I will make sure to inspect the piece thoroughly upon receipt just in case. Oh, yes...that is indeed why and I believe I acknowledged that in my post above. But I say again, the crack is very hard to see but its there, its in the glass (no chipping or anything else that would indicate external force causing the crack), and they didn't want to make it good. But I say again, the crack is very hard to see but its there, its in the glass (no chipping or anything else that would indicate external force causing the crack), and they didn't want to make it good. I did not see it on inspection and only noticed it when going to use it. I agree, just inspect it completely and thoroughly as they don't see to offer a great deal of good will. I have found someone who works with indigent and economically stressed MMJ patients and I'm giving it to him to give out to a patient. This piece of glass will work just fine, but every time I see the crack I just want it, and Paramount, out of my house. This piece of glass will work just fine, but every time I see the crack I just want it, and Paramount, out of my house. Top favorite strains and favorite flavors?